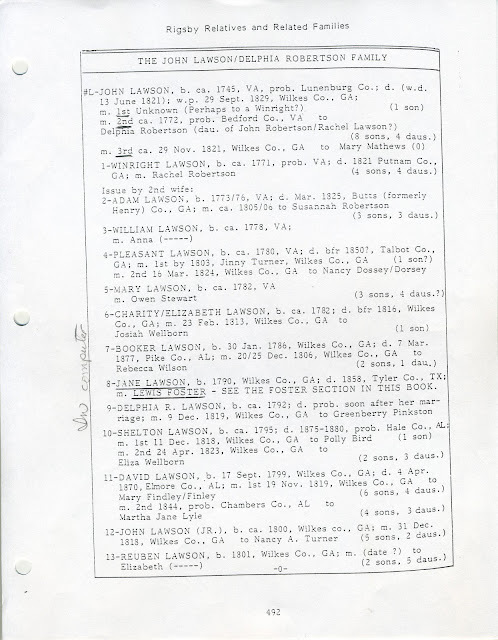 Genealogical research continues on the Russell Family and so does transforming this blog into an easier read. Be patient... that's what I keep telling myself. Short term goals are to add links to the top of this page to provide a quick way to reach topic page posts. Writing of John Rollen Russell born 1791, David Robertson Russell born 1821 and Martha Crawford Russell born 1835 begins on the blank page of Bible ending the Old Testament.